Scratches on your knees. If you are playing and rough housing around with your brothers, sisters, cousins and or friends out in the yard or playground then there was a good probability that you will have gotten scratches on your knees and or elbows. Sometimes those scratches on your knees were and could have been bigger and more problematic than what you thought they were at that given moment. When you first got a scratch on you knee or elbow you probably believed or thought that this is a life changing event. You probably were so hurt and thought you were going to die at first. You either ran to your mother for help or your mother came rushing out of the house to help you after she heard your life death scream, if you got hurt at home. Your mother came rushing to your aid and picked you up and nursed your scratches the best she could. Afterwards you felt so much better because of what your mother did for you. Sometimes you felt so much better just because your mother was there to give you comfort and she may have kissed your scratches. Your mother’s attention was all you needed and nothing else. Life is like those scratches when you fall or get hurt physically or emotionally. You have to get up from off the ground sometimes literally and figurative and nurse those physical and emotional scratches. When you reminisce about your life, sometimes you may say to yourself mom never told me that there will be days like this. Mothers want life to easy as pie and enjoyable for all of their children. Mothers do not want their children to experience any hardships or bad times in their life. Most mothers try and look out for their children best interest all the time. They want to shield their children from all of these hard or bad events that the mothers themselves may have been through. As long as you are living and interacting with others in the world you are going to experience good and some bad times and you may probably experience scratches on your knees as well. Some of those bad times your mother never warned you about and you do not know how to handle those situations. On the other hand if you have not experience any scratches on your knees growing as a kid, adolescent, teenager, young adult to adult then you are going to be at a loss at how to handle scratches on your knees. 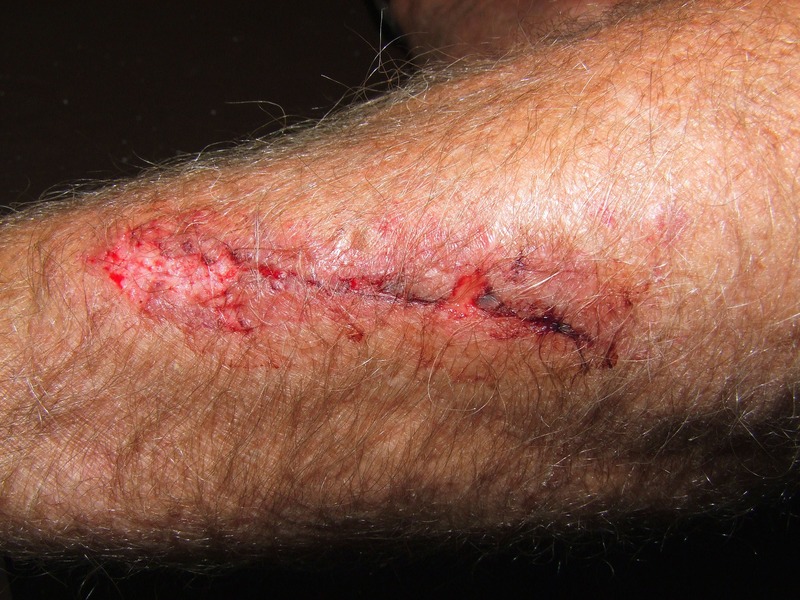 So when those life issues arise or comes your way unexpectedly and if you have not experienced any scratches on your knees, some of you are going to be at a loss as to how to handle those issues. Now when those scratches on your knees do come most of you will at first experience an emotional charge inside your mind and body to either stay or run away from the problem. That emotional charge you will experience is what is describe as the flight or fight syndrome. At that instant your brain starts secreting a hormone in your brain by your adrenal glands, causing your body to increase blood circulation, increase breathing, and carbohydrate metabolism increase as well. This secreting hormone is preparing your muscle either to fight or flight, which is called the fight or flight syndrome. When these scratches on your knees come some we be negative in nature, you are going to have to make a decision as to how to handle the situation. Some of these decision that you will have to make are about the given situation you are involved. You are going to have to determine do I fight or do I get the hell out of here and flight from the problem. For most people the first thought process is to run and try to get as far away from the incident and not to try and remember something bad could have happen. Your mind and body are going to be secreting adrenaline at a very high rate at that moment. There is really no rational thought process in the early seconds or minutes. You mind is telling you to just go and go real fast away from what has occurred. After some time has passed the adrenaline that was rushing through your brain and body has receded and decreased you start having a rational thought process you may consider after all that it is in your best interest to stay and fight until you resolve your issue. Then you can start searching for answers as to what to do to solve the problem. You may start looking inwardly for answers and then when you cannot find any answers within yourself, you may turn to family or friends for their answers as to how to handle a given situation. As all of us go through this life and experience problems or interact with other people, most if not everyone will experience our flight or fight syndrome of emotions of the present, pass and possible future. Just like those scratches on your knees were from a given history of your pass. Those scratches on your knees make you the person who you are today in fashion or form, because you may have gotten those scratches from a painful experience. Life is full of those scratches on your knees when you fall and stumble to the ground and injury your knees. Some of those scratches on your knees I hope could be thought of as badges of honor, because each scratch should have taught you something positive or negative about yourself. Hopefully those scratches should be more positive so you can look back into the pass and remember the lessons you were taught and learned from your parents. Scratches on your knees can be painful at the time they happen and some are very, very painful. But also scratches on your knees should also be character building block and helps you make better decisions throughout the reminder of your life.